OMG! How amazing is this sunshine! Summer really has arrived and I can’t get enough of it. I’ve been putting in plenty of time in the garden – not just soaking up the rays, but working (honestly!). This time of year allows me to indulge in my two favourite interests: travel and beauty. I’m just about to head off to beautiful Italy, so I’ve been trying and testing the best holiday pampering products to take away with me. Summer beauty is all about protecting and moisturising – that goes for your hair and your body. From the sun’s rays to the salty sea and chlorine-packed pool, there are all sorts of beauty dangers to watch out for, so high SPF’s and rich, rehydrating treatments are absolutely essential, along with a few little treats like a delicious summertime fragrance to keep you feeling foxy when the mercury rises! So whether you’re planning a vacation or a stay-cation this year, invest in this selection of head-to-toe essentials and ensure you look sensational all summer long. This fragrance is really fresh and fruity – perfect for a sunny getaway! Before you set off on holiday, prep your skin so you’re already rocking a beautiful bronzed tan when you hit the beach. It will make you feel slimmer and more confident. This is a fantastic wash-off fake tanner which will go on streak-free – perfect for the start of your hols before you’ve built up a natural tan. Remember to moisturise everyday to prolong your glow! This sun screen is water-resistant and boasts an SPF (that’s Sun Protection Factor for any beauty novices out there) of 50+, so it will keep you super-safe in the sunshine. This product is really great for sensitive skin as it is free of harsh chemicals, fragrance and parabens. 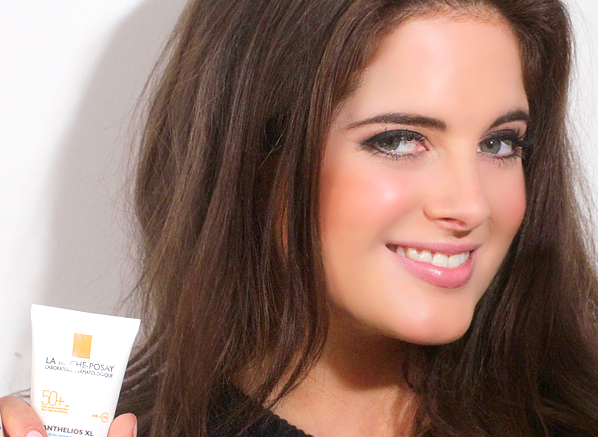 This is another sun cream with a wonderfully a high SPF to protect you from the sun. Remember – a strong sun screen won’t stop you tanning, but it will stop you getting burnt (as long as you are sensible and remember to reapply regularly). Using sun screen allows you to slowly build up a really deep healthy glow, rather than just crisping the top layer of skin, so your suntan will last much longer when you get back home. This little beauty is handbag-sized so you can carry it with you wherever you go. When you’re endlessly rubbing in sunscreen – not to mention getting hot and sticky in the heat – it’s essential to cleanse thoroughly morning and night. Don’t let those killer holiday cocktails stop you washing off the build-up from hot days and crazy nights before you crash out. This deliciously refreshing cleanser is quick and easy to use so you can get onto the beach as soon as possible the next morning (hangover willing)! 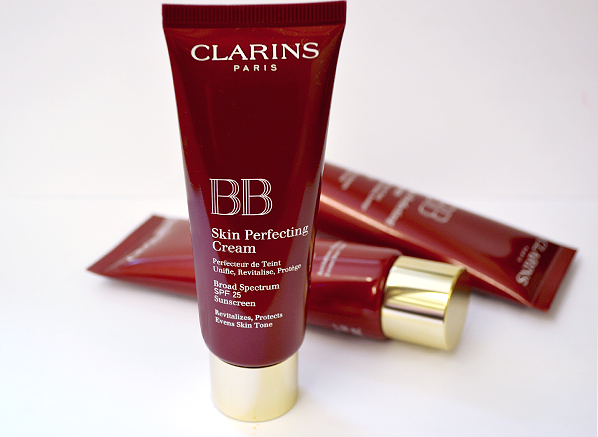 For those out of the beauty loop, BB cream is a subtle base that also cares for your skin (BB stands for Beauty Balm), so it’s a make-up and pampering product in one. This one is very lightweight so you can apply it when you come out of the water to give your face a bit more coverage without it feeling caked in heavy foundation. Hair can really suffer in the sunshine so it’s a good idea to take along a deep rehydrating treatment when you head off on your hols. This hair mask will protect your crowning glory from salt, sun and chlorine, ensuring you come back from your travels without split-ends. This is an absolute holiday must-have if you’re a water baby like me. Don’t worry – it’s not one of those old-lady flowery swimming hats! This is a haircare product that you smooth into damp locks to keep them protected in the sea and the pool, ensuring you emerge from the water looking like a mermaid instead of a straggly sea creature! I've been looking for a lighter alternative to liquid foundation and a more moisturising alternative to powder foundation and thought I'd try this. I have to say from the outset that I love Clarins products - they're super high quality but not at the price of some of the other luxury brands. This is a light to medium coverage cream - depending on how much you apply - that goes on easily and evenly and gives your complexion a real lift. Having dry skin, I applied it over a moisturiser and found it a bit shiny, so added a fine covering of powder. It gave my face a "dressed" look whilst still seeming very natural. The only downside of the BB creams I have tried so far is that even the light shades are really too dark for a pale complexion. I would say the 01 Light is practically the same as Dior's Hydra Life single shade (02), although it does blend in better, but I still need to use a lighter shade of powder to take out the orangeyness. It has a lovely scent, similar to Clarins Daily Energizer range, which is fresh and zesty on application, but fades quickly so doesn't overpower. After several hours of wear, my complexion still looked even and radiant, with no hint of dryness or tightness. It comes in a handy tube so good to carry around with you, with a screw top rather than a pump, which is probably safer in a handbag and allows you to dispense just the right amount. I like it! This entry was posted on Friday, July 12th, 2013 at 9:00 am and is filed under Binky's Beauty Blog #BBB, Fragrance, Guest bloggers, Haircare, Make-up, Sun and Tanning, Tried & Tested, Video. You can follow any responses to this entry through the RSS 2.0 feed. You can skip to the end and leave a response. Pinging is currently not allowed.